In those difficult times, sending a thoughtful gesture means a lot. 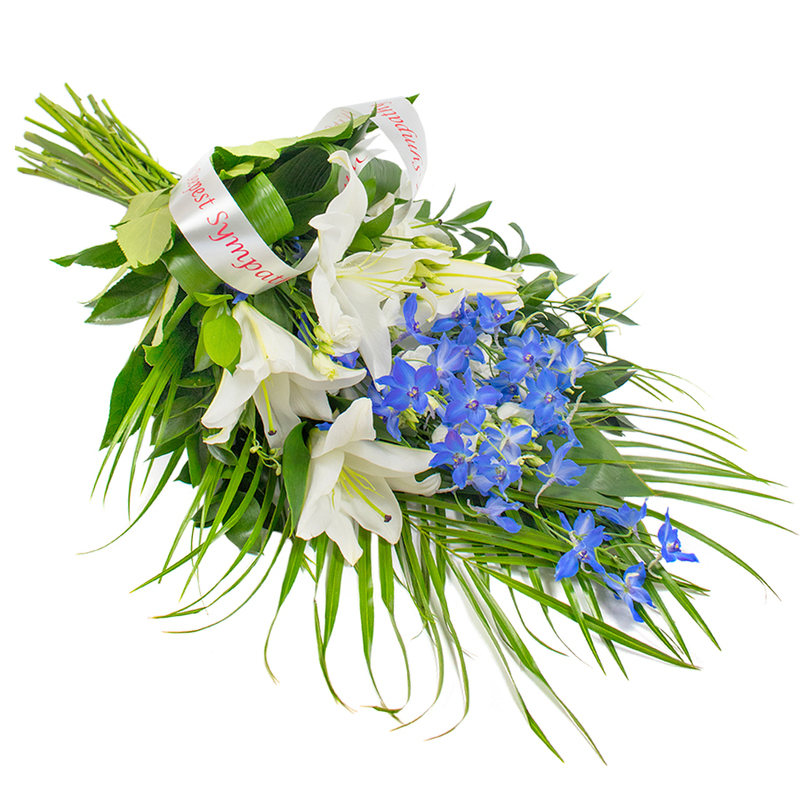 Our florists have prepared a delicate arrangement of white liliums and delphinium to help you express your deepest condolences and offer comfort to the grieving family. Your florists gave it their all when it comes to the arrangement of the funeral spray. It is a work of art. They didn't let me down. Delivered a very beautiful spray of flowers. I wish I didn't have to order flowers for such a sad occasion as my dad's funeral.... It was very hard for me to write the message on the card as I knew these were my last words to my one and only hero in life... I received a very professional service and gorgeous flowers. Couldn't have asked for a better florist to rely on. Totally worth the money. High quality flowers. Such a professional service. Explained everything that my family needed to order and the lady on the phone offered the best options. Thanks a lot. I usually order flowers for happy occasions and Handy Flowers always deliver great arrangements. Last week I ordered a funeral spray and didn't know what to expect. The team was friendly and understanding as usual. They made me feel in good hands. The spray was safely delivered to the funeral home. I'm really grateful for the brilliant service.